Nowell averaged 108 metres per game in the last 6 Nations and has the ability to beat defenders and score. England enter a new era under Eddie Jones and although the philosophy might have change the personnel is similar to the last 6 Nations campaign, particularly the back-3. Anthony Watson is favourite in the first tryscorer betting but he opposable on last year’s statistics. Watson has 8 tries in 15 appearances for England but is often a peripheral member of the back-3. The Bath player averaged just 6.7 carries per80, less than half the quantity of Jack Nowell and Mike Brown. Mike Brown is the most constant carrier of the trio but at full-back he is more often in the game. 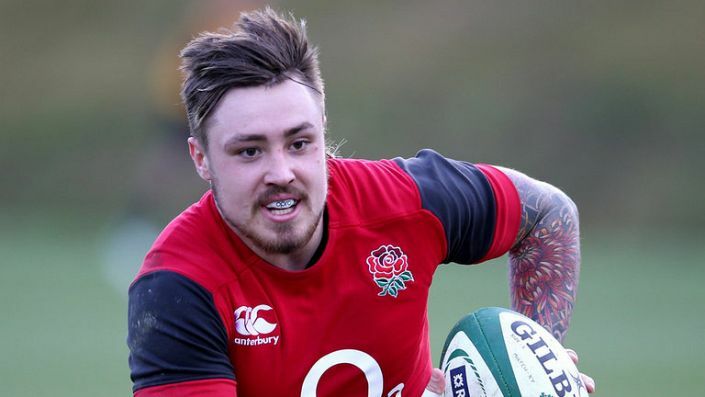 There is doubt he is a potent attacking weapon but Jack Nowell could be the real star. The Exeter Chiefs winger has seven tries in ten appearances for England and it is easy to see why. He averaged over 100metres with 5 defenders beaten and 3 clean breaks per 80minutes in the last 6 Nations. That is elite attacking numbers. At 10/1 he can score first with Paddy Power paying double the odds if he goes on to score a second try.